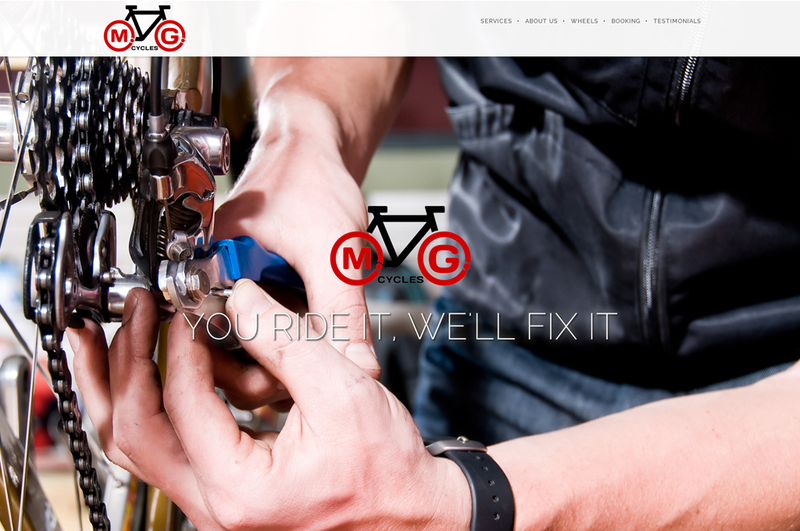 From a young age, Martin Galik followed his passion for bicycles, working professionally with sports teams and within cycle workshops to eventually start his own bike maintenance and repair business, M.G. Cycles. When Martin came to us, he brought with him a great logo that summed up his mobile bike repair and maintenance business perfectly. What he didn’t have, was somewhere online for people to find out about him and his expert services. So we set about creating a simple one page website, building the design around the colour and style of his existing branding. 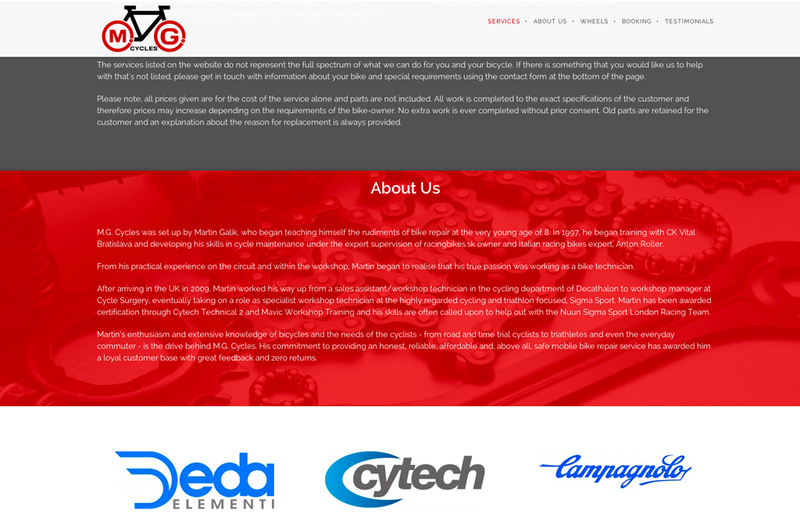 Ultimately, he needed just a few sections for his website; one describing the different range of services he offered, another where he could demonstrate his experience in the field, a further section where he could inform people about his special skills in wheel-building and a place to showcase the various testimonials he had garnered in the short time since he started his company. Lastly, we implemented a contact form to ensure that getting in touch with Martin about his services would be as easy as possible. Along with his logo, Martin also came to us with some copy for the website which he wasn’t completely happy with. So he employed our expertise again (this time in web copywriting) to provide optimised content for his website that really championed his achievements and abilities. After a few consultations and a couple of amendments, the copy for M.G. Cycles was signed off. Following the completion of the website, we also created vehicle signage and business cards to help Martin spread the word about M.G. Cycles. One of the things Martin praised us for during this process is how much easier it was to get stuff sorted when he could sit down and speak to us face to face about what he wanted, instead of having to deal with online companies and individuals via email only.